Varditer Grigoryan was born in 1985 in Armenia. In 2006, she received her Bachelor’s degree in Philosophy and Psychology from the Yerevan State University in Armenia. In 2007, she received a Bachelor degree in English language and literature from the same university. In 2008, she received a Master’s degree in Philosophy and Psychology and finally, in 2013, she pursued her Ph.D. in Philosophy as an Analyst-logician. In 1999, she started working as a television host at a local television station based in Artashat, Armenia. From 2006 to 2010, she operated her own translation center located in Yerevan. From 2010, she worked at the Yerevan State University as a Lecturer of Logic and Philosophy. Late 2013, she permanently moved to the U.S. and started her career as a journalist and television anchor at USArmenia television station. 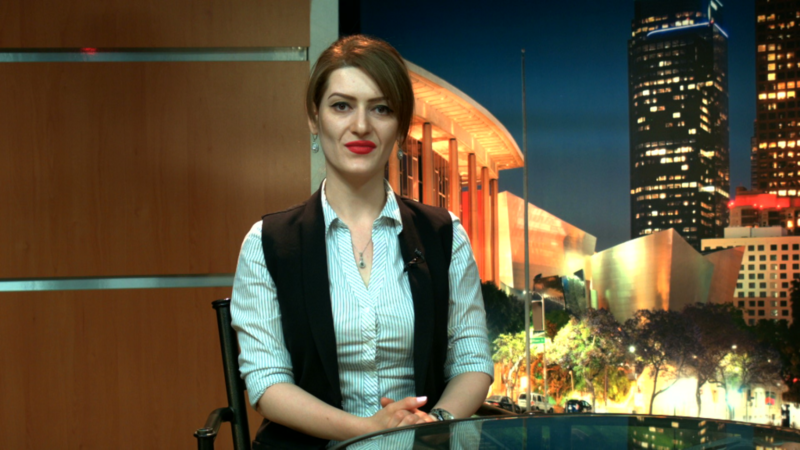 From June 2014 to date, she has been working for ARTN SHANT television station as a journalist and news anchor located in Glendale, California.